100% of your money helps kids in need. A hydroelectric dam in the Attapeu Province broke, spilling 5 billion cubic meters of water. Hundreds of people are missing and close to 7,000 more have lost their homes after a dam collapsed causing flash flooding across many villages. 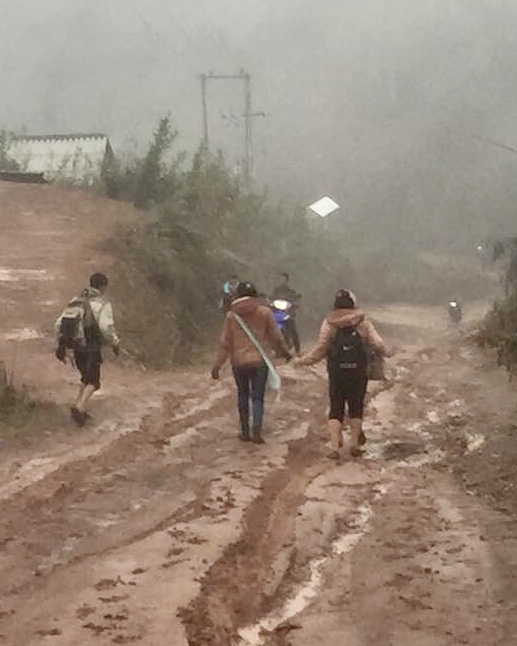 Jai Lao Founder Soutkita Reagan is mobilizing a team of volunteers from the United States and Laos to provide direct relief to the families affected. We will be working personally with the village chiefs and hand-delivering much needed supplies such as: blankets, mosquito nets, food, water, livestock, plants, and money to help rebuild their lives. Any donation amount will help greatly because 100% of your contribution will impact as many families as we can possibly help. Not every child in Laos has access to education and clean water. Jai Lao is on a mission to change that. Every single "kip" or dollar will help bring brighter smiles to the world. 100% of your donations will go towards helping children who need it most. Watch the video above from our November 2017 humanitarian trip to get a glimpse of who we are. We have built schools for kids to learn and grow; provided clean water systems to remote villages; and donated clothes and educational supplies to thousands of children throughout Laos. Let Padek Mae Kesone be the main ingredient in making your next batch of authentic tum makhoung. This delightful Padek have been so important in helping Jai Lao raise funds to help thousands of vulnerable children. At Jai Lao's annual One Night in Laos Charity Dinner and Auction, you'll surround and connect yourself with people who share the same values and aspirations as you to serve, help and give back to the needs of children and families in rural Laos. Jai Lao goes to one city in the USA during Lao New Year to make tum makhoung as a way to raise funds and awareness about our cause. Visit our booth or share with your friends to come support our efforts. You can get involved and help by having Jai Lao coordinate a village visit for you to donate to the children yourself whenever you go to Laos. Imagine the happiness for both the giver and receiver from just one simple act of giving. Sornram Theappitak, Thailand's celebrity, generously donated his time and talent and even payed for his own airfare, to help raise $8,500 for our gravitational water project in Luang Prabang! He's a "paake" hero capturing the hearts of millions on the big screen and his compassionate and caring heart certainly won over the hearts of the children in real life.